We still have time to make it work for rural America, if we act now. Today, the United States, Mexico, and Canada formally signed a renegotiated North American Free Trade Agreement (NAFTA) in Buenos Aires at the G20 economic summit. The Trump Administration will hail this agreement as a done deal and a win for rural America, for manufacturing, and for the President’s legacy. First, it’s far from a done deal, and the totality of the agreement isn’t concrete yet. While the current bargain may sail through ratification in the legislatures of Canada and Mexico, the U.S. Congress is another animal entirely. As Democrats ride into Washington in January to retake the House on a blue wave of anti-Trump sentiment, they’ll look to throw a donkey-sized wrench into the President’s would-be signature achievement. And by all means, they should. 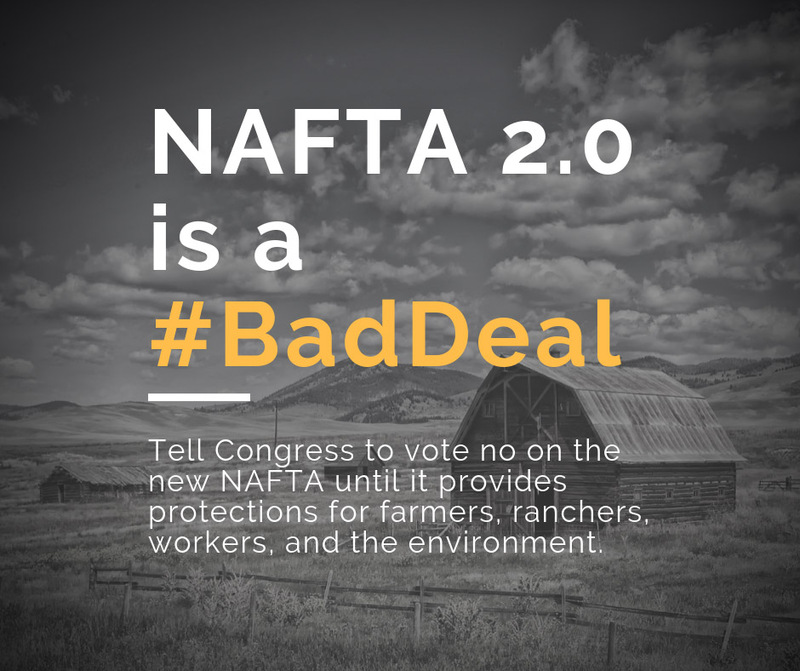 NAFTA 2.0, referred to as the USMCA by an administration desperate to rebrand the unpopular 25-year-old trade deal, is a bad deal for American farmers, ranchers, labor, and rural communities. There’s still time to fix it, even after the agreement has been signed, there’s an opportunity to draft side-agreements as Trump’s predecessors Obama and Bush did after signing similar deals. 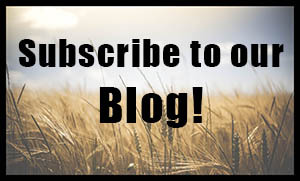 But first, Congress must demand U.S. negotiators remedy unresolved agriculture, pharmaceutical, environmental, and labor issues, and develop real monitoring and enforcement provisions. These are the four reasons why NAFTA 2.0, as-is, fails rural America — and how we can still fix it. 1. NAFTA 2.0 doesn’t reinstate Country of Origin Labeling for beef or pork. The original NAFTA saw American farmers and ranchers severely undercut by cheaper commodity production. This is a chief reason why the Western Organization of Resource Councils adamantly opposed NAFTA when it came into law in 1993. WORC is a grassroots network of eight member groups, across seven Western states consisting of more than 15,000 members, many of whom are ranchers and farmers who saw the writing on the wall decades ago. By 2002, producers rallied together. In a national coalition led by WORC and other ag-advocacy groups, Colorado peach growers, Idaho potato farmers, and Montana ranchers joined forces with allies across the country to force Congress to adopt Country of Origin Labeling (COOL) for food products in that year’s Farm Bill. Almost immediately, large, international corporations set out to defeat this new law. Spearheaded by four multinational companies that control 84% of the cattle slaughter market, the meatpacking trusts successfully lobbied Canadian and Mexican officials to register a 2012 dispute with the World Trade Organization (WTO) that COOL violated their rights under NAFTA. Instead of fighting it out, Congress and President Obama caved, spurred by the meatpacking trusts, and exempted beef and pork from U.S. COOL in 2015. This came at the dismay of U.S. cattle producers. In the brief period from when COOL took effect in 2009 to when beef and pork were cut out, American ranchers saw strong prices and growing profits from their herds. All those gains went away after COOL was repealed. Prices continue to freefall for U.S. ranchers who are forced to compete with beef shipped across the border. To make matters worse, the meatpacking lobby successfully won a loophole in U.S. Department of Agriculture rules that actually allows companies to import foreign beef, run it through a USDA inspection facility, and slap a “Product of the United States” label on it. Prices continue to freefall for U.S. ranchers who are forced to compete with beef shipped across the border. To make matters worse, the meatpacking lobby successfully won a loophole in U.S. Department of Agriculture rules that actually allows companies to import foreign beef, run it through a USDA inspection facility, and slap a “Product of the United States” label on it. In addition to the obvious food safety concerns for American consumers who don’t know where their burgers really come from, lack of COOL poses an economic threat to U.S. ranchers. The “Product of the USA” loophole illustrates exactly the supply-and-demand problem that lack of COOL presents U.S. producers. Foreign beef is raised in countries like Australia — which has strong origin labeling laws that give Aussie ranchers a premium for their product at home — and some of it is frozen or chilled, and shipped to the U.S. and sold at a relative bargain. This drives down prices for American ranchers who aren’t afforded the same domestic protections by their government. The spate of failing farm loans in cattle states bears this out. Just this past November, news broke that farm bankruptcies across the upper-Midwest and Northern Plains have spiked. Factors like poorly thought out tariff spats and overproduction from corporate mega-dairies has contributed to the pinch. The trend actually started after a decade-low for the Northern Plains region in 2014. That was also the last year ranchers in those states enjoyed COOL protection. Lack of COOL is also a Main Street problem. Generally, small towns and cities in beef country are surrounded by ranches that have been in families for generations. They generate a steady, modest income that largely stays in the community, spent on local businesses and paying local taxes. As ranching and farming for small- to medium-sized family operations becomes less viable — for the last few years, the average U.S. farm has operated at a net loss — ranches are being sold to larger operations or real estate developers. This dries up a source of revenue for local governments, and income for local businesses. And, instead of staying home and running the family homestead, future generations are fleeing to urban areas en masse, compounding problems for rural communities that are growing older and poorer. NAFTA 2.0, as it stands, does not address this issue. But it could, and here’s how. Chief U.S. negotiator Robert Lighthizer has expressed a willingness to push for COOL, but only if it comes at the behest of the United States Senate. If enough U.S. Senators, chiefly ones from beef-producing states, demanded a side-agreement on COOL, Lighthizer could get it done. Such a bargain would see Canada and Mexico agree to drop their dispute at the WTO, and commit to never bringing another challenge to any U.S. COOL law in the future. WORC and its network’s members will not accept any NAFTA renegotiation that does not explicitly restore COOL for beef and pork. The new NAFTA contains a set of rules — some 63 pages-worth — that will not only export high prescription drug prices to Canada and Mexico, but will also bind Congress’ hands on bringing down health care costs. The text mandates that “biologically-derived drugs” receive 10 years of marketing exclusivity — a monopoly — before similar drugs can compete in the market. These are drugs chiefly designed to fight cancer, arthritis, and other chronic ailments. This is currently law in the United States, even though the U.S. Federal Trade Commission has noted that these types of drugs don’t necessarily need these protections because it’s already hard to create generic versions of them. Moreover, studies have found that Congress, if it lowered the monopoly period, could save American taxpayers upwards of $7 billion per year. If these provisions make it into the final text of a new trade agreement, Congress would be forever bound to the 10-year monopoly period — unless NAFTA is renegotiated. Health care costs are a huge priority for rural communities which, on average, are trending older and less-wealthy. Removing options to lower those costs amounts to a corporate giveaway to large pharmaceutical companies, at an expense to aging rural communities desperate to see health care costs lowered. This also presents complications for ag producers on two fronts. As noted, the average U.S. farm operates at a net loss — requiring someone in the household to work off the farm to bring in enough income to balance the family budget, and provide employer-provided health care. Moreover, in 2014, the average age of the U.S. farmer was 58 years old. In general, our farmers and ranchers are reaching an age where health care costs begin to skyrocket, and the new NAFTA provisions will further deny them options for relief. Additionally, economists argue that by strengthening U.S. pharmaceutical exports to Canada, NAFTA 2.0 will inadvertently put downward pressure on other U.S. exports like ag commodities and manufacturing. The international finance argument posits that, as NAFTA 2.0 forces Canadians to exchange their cash for U.S. dollars in order to buy prescription drugs, the value of the American greenback will increase. A more valuable U.S. dollar makes all other exports more expensive — including American-grown wheat, soybeans, corn and beef. As those commodities become more expensive, international demand for those ag products will drop, and U.S. farmers and ranchers will struggle to sell their products across the border. Quite simply, the text needs to be revisited, and the exportation of America’s pharmaceutical costs needs to be struck from any final bill. The original NAFTA incentivized corporations to duck U.S. environmental policies by offshoring jobs, climate emissions, and toxic pollution to Mexico, where many environmental standards are less stringent. The new NAFTA does nothing to remedy that and backslides on environmental protections found in other U.S. trade agreements. The omission of any lead standards, for example, means corporations would still enjoy NAFTA’s incentives to dump their lead waste in Mexico, which has contributed to job loss in the U.S. and toxic lead poisoning in border communities. Moreover, the deal takes a significant step backwards from the environmental protections included in the last four U.S. trade deals by failing to reinforce a standard set of seven Multilateral Environmental Agreements (MEAs) that protect everything from wetlands to sea turtles. The deal includes standard enforcement language for only one of the seven MEAs, while using weak language for two MEAs and failing to even mention four of these essential environmental agreements. The deal even removes an MEA provision found in the original NAFTA, which said that countries should heed their environmental commitments even if they conflict with NAFTA’s rules. The removal of this provision suggests that countries should now disobey their environmental commitments if they conflict with NAFTA’s rules. Finally, NAFTA 2.0 preserves Investor-State Dispute Settlements (ISDS) for oil and gas companies. These ISDS allow corporations to sue the U.S., Canada, and Mexico in unaccountable tribunals over climate and community protections. Under the deal, corporations like Chevron and ExxonMobil –— the two largest corporate climate polluters in history and repeat users of ISDS — would be allowed to challenge environmental protections in Mexico by relying on the same broad corporate rights that they have used to successfully challenge public interest policies from Ecuador to Canada. In fact, the deal offers these rights to all U.S. and Mexican oil and gas corporations that have, or may at some point have, government contracts for offshore drilling, fracking, oil and gas pipelines, refineries, or other polluting activities in the other country. 4. NAFTA 2.0 lacks enforcement mechanisms to make new labor rules stick. Trade and labor groups have noticed the modest but meaningful labor standards gains in the new NAFTA. For example, it has rules to end wage-suppressing “protection contracts” in Mexico, which, if enforced, could make a real difference over time to raise Mexican wages, which also would cut incentives to outsource jobs to Mexico. Currently, Mexican workers come to a new plant to find a “contract” they never approved signed by a union they never approved that locks in low wages. Workers who strike are arrested for violating “their contract” as just occurred at Goodyear in San Luis Potosí where workers get $1.58/hour to make the same tires as workers paid $25/hour at Goodyear’s Kansas plant. NAFTA 2.0 requires Mexico to provide workers secret-ballot contract votes and existing protection contracts must be replaced in four years. Unfortunately, the NAFTA 2.0 text does not have the monitoring or enforcement terms necessary for the rules to make any difference for workers. Unless strong labor and environmental terms are made subject to swift and certain enforcement, U.S. firms will keep outsourcing jobs to pay Mexican workers poverty wages, dump toxins and bring products back here for sale. Moreover, existing NAFTA terms that make it cheaper and less risky to outsource U.S. jobs stay in place for three years after NAFTA 2.0 goes into effect. This delay must be eliminated. Despite Donald Trump’s “Buy American/Hire American” rhetoric, NAFTA 2.0 keeps NAFTA’s waiver of Buy American rules. These rules require the government to buy U.S.-made goods, but the NAFTA waiver. Unless that’s fixed, more tax dollars and jobs will be outsourced. Since 2007, labor provisions have been standard in the core text of trade agreements. By and large, these provisions are enforceable but go unenforced because no mechanism is provided for doing so. Congress must demand that labor standards are backed with the teeth of strong monitoring and enforcement mechanisms to ensure the NAFTA 2.0 labor rules stick. Sign up for alerts to stay in touch with WORC’s campaign for a better NAFTA. Share this story on Twitter and Facebook with hashtags #BadDeal and #NAFTA. Finally, please contact your Senators and Representative and demand they refuse to vote for any trade deal that doesn’t reinstate COOL, contains harmful prescription drug policy, perpetuates bad environmental practices, and fails to augment labor standards with strong monitoring and enforcement rules. Your calls to Congress are the best way to ensure that NAFTA is good for everyone, not just corporations.